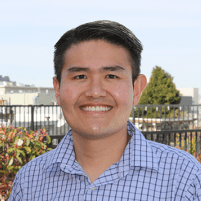 Dr. Lukman is a trusted dentist in the Mission District. Dental exams and evaluations by providing the diagnostic assessments and routine care necessary to help each patient enjoy optimal oral health. ""Highly recommend Dr. Lukman and staff. Very knowledgeable and detailed explanations." "Dr. Lukman is my hero...He's incredibly skilled, and has a great sense of humor." "Dr. Lukman and staff are great. Very friendly and professional...very customer oriented." "I was late to my appt. but they were supper accommodating...Good experience overall." "Friendly staff. Patient-oriented and competent assistant. Very accommodating..."
"Always welcoming!! I told my family this is the dentist we've been dreaming of." "You won't get a better dentist than Dr. Lukman." "Dr. Lukman and his staff are amazing!" "I highly recommend Dr. Lukman. You won' be disappointed." "Honest and forthright. Erick gives great personalized service." Why are dental exams important? Dental exams provide your dentist with vital information about the health of your teeth and gums, including evaluating for infection, decay and even oral cancer. Having routine dental exams is the best way to spot these and other issues in their earliest stages so they can be treated, and it can also help identify serious health issues like obstructive sleep apnea and temporomandibular joint disorder that can be difficult to recognize based on symptoms alone. Your exam will begin with a medical history to look for any health issues that could have an impact on your oral health, like the presence of diabetes, and to review any medications you may be taking which also could affect the health of your teeth and gums. You'll be asked about any symptoms you may be experiencing or other concerns you may have, and your teeth and gums will be visually examined. The dental hygienist will carefully clean your teeth, paying special attention to the areas between teeth and at the gum line where tartar, plaque and bacteria can collect. Once the cleaning is complete, you'll receive guidance on how to improve your brushing and flossing techniques as needed to keep your teeth and gums as healthy as possible between checkups. Dental x-rays may also be taken so we can see the structures below the gum line and examine the interiors of teeth. Finally, each tooth will be carefully examined and an oral cancer screening will be performed. Based on all this information, you'll receive care recommendations to address any issues that have been identified. How often should I have a dental exam? Ideally, you should have an exam every six months to check for any developing issues which can be more easily treated in their earliest stages. "Highly recommend Dr. Lukman and his crew. Dr. Lukman is very knowledgeable and explains everything in detail. Plus he does braces and Invisalign." "He's incredibly skilled at what he does, and has a great sense of humor that puts even the most challenging patients at ease." "They take special care to be very gentle and to explain what they are doing. I also really like that at each step they make sure if I am comfortable." "I opted to get invisalign (Dr. Lukman also does braces!) I only needed a few adjustments so mine only took a few months. Now my teeth look great!" "You won't get a better dentist than Dr. Lukman...his suggestions on future dental care were practical and worthwhile...convenient location and efficient staff too." "Dr. Lukman and his staff are incredible. They are very friendly and personable. The offices are clean and private...I highly highly recommend them." "Dr. Lukman and his staff are amazing! I had been looking for a great dentist in the city and finally found one. I highly recommend this dental office." "I've been going to Dr Lukman for a few years now and have always had a good experience. His staff is great and he himself has been very helpful and knowledgeable." "Dr. Lukman performs high quality work, and he was very gentle and friendly. My entire experience with him and staff was great. I'll be recommending him to my friends." "Honest and forthright. Erick gives great personalized service. Staff is welcoming. He was able to accommodate my shifting schedule." "Dr Lukman and his assistant were both very kind and patient. They took the time to explain the procedures...Overall, it was a great visit." "Dr Lukman is professional, attentive, polite and very friendly. The staff is extremely friendly and approachable...Highly recommend to anyone needing a new dentist." "Dr. Lukman's office is welcoming, has friendly and professional employees with a sense of humor and they do good work. I highly recommend them to anyone!" "This place has treated me as a friend and that's always the best. They make sure you have what you need for your teeth to feel and look better."